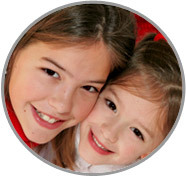 If your children are in need of a DC Tutor, look no further than your local DC Nanny Agency! A DC Tutor like Laura has helped to encourage children’s interest in learning in many different ways! "I work great with children and people in general! I like to set short-term and long term goals for myself. When it comes to working with children, I feel I am a great candidate. If I was asked to describe in one sentence the reason I have chosen to be in the Nanny profession over any other it would have to be because I can give all the attention a child/children need the whole time I am with them. I have been serving in some form of childcare experience for over 3 years and can honestly say I love what I do! I feel children are our future, smart, and precious. My goal as a Nanny is to be there for the children’s needs and wants. I am willing to do housekeeping that includes light chores, cleaning, laundry, and some light cooking. If I had to describe myself in six adjectives I would say that I am helpful, outgoing, honest, reliable, responsible, and fun. Activities that I would like to incorporate in the daily plan for the family I care for would include accomplishing everything they ask to be done while taking complete care of the children. If asked to describe the perfect family seeking a DC Tutor like me I would hope they would be clean, polite, honest, respectful, and understanding!" "Laura has been tutoring our daughter for the past 4 months and we are very pleased to say that she has been a huge asset along with being very accommodating. We are also very fortunate to have her come to our home and provide our daughter with additional dynamics and techniques that not only help our child build confidence, but us as well, with patience and understanding. Her knowledge and qualifications that we have seen has given us a feeling of warmth and security which has been beneficial for tutoring our child. Laura has the compassion and concern that best suits our needs to help our child along the way, and since she has been working with our child, we have seen much improvement. We feel very confident and assuring that Laura's help has given us a better understanding with the study skills that have been implemented and we are very fortunate to have her on our journey to help our child succeed. As parents, we only want what is best for our children and Laura has given just that! We highly recommend Laura as a DC Tutor." "I have known Laura for over ten years. When I had children, she would care for them whenever I needed her. I have seen her love and nurture my children and they adore her! She would complete laundry and other household chores for me while I was away without me ever asking! She is great with children and I highly recommend her." "I have known Laura since she began taking care of my 1 year old daughter. I have observed Laura when she provided care for my daughter as well as other children. Laura provided continuous care for my daughter at her in-home childcare on a full-time basis until she began kindergarten. The care Laura provided was of the highest quality. She placed a high priority on safety, nutrition and education. I never had to worry about my daughter when she was with Laura! She had healthy well-balanced meals and snacks and was well-prepared for school as a direct result of the curriculum Laura designed for the children in her care. One of the great things about Laura is that she is always doing things with the children in her care. She takes them on outings where they learn, have physical activity, play games and have fun. She is very adept at choosing age-appropriate activities. Laura took the time to make sure that as my daughter and the other children in her care grew, she had toys, games, books and music that would interest them. Since my daughter began elementary school, Laura has continued to care for her on a part-time basis. She cares for her on school holidays, vacations and sometimes after school until I can get home from work. My daughter loves to be with Laura. Laura is able to connect with my daughter, which results in a trusting, respectful, warm and caring relationship. I could not give an accurate recommendation for Laura without mentioning she is extremely reliable, dependable and punctual. She always arrives early and she never cancels. Whenever she had to do in-services or go to doctor's appointments, she always arranged for another quality care provider to take her place. I highly recommend Laura for any position as a DC Tutor or a nanny. Her background, experience and education make her a highly-qualified candidate." "Laura is an active DC Tutor for our company. Laura tutors students in the areas of language Arts and Mathematic. She has proven to be diligent and responsible in her work performance. The company has received repeat request by clients requesting her services due to her great relationships with her students and parents. Laura not only has been stellar in her tutoring work but very hardworking and timely in the administration part of the position. Her well written and timely submission of monthly reports, tutorial logs and student learning plans can all attest to this. I would, without hesitation, recommend Laura for any endeavor to aid the development of children." "I worked with Laura for four years at a learning center. During that time she worked with a variety of children. Laura was a caring, concerned, dependable teacher; great with the children and respected by their parents. She would consistently “go the extra mile” to make the learning experience fun and more relevant to the children. I enjoyed working with her and we got along really well. I would recommend her for any childcare position."